The American Brewing Institute was founded in March, 1901 in New York with an objective to promote the technology of brewing and malting by the reading and discussion of scientific, technical and practical papers on any subject of interest to the brewing, malting and fermentation industries. (United States Brewer's Assoc. 1908) J. Lainson Wills F.C.S. was the founder of the American Brewing Institute and was its first secretary. Lainson also held the position of laboratory chief and principal instructor of the National Brewers' Academy and was its vice president since its incorporation in 1905. 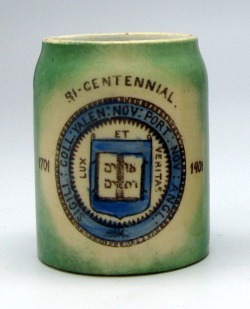 He retired from the National Brewers' Academy in May 1908. 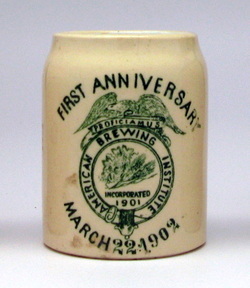 This mug commemorates the American Brewing Institute's first anniversary on March 22, 1902. Cornell University was founded on April 27, 1865 and inaugurated on October 7, 1868. Co-founder, Senator Ezra Cornell, offered his farm and $500,000 of his personal fortune as an initial endowment to open the University. It is one of the eight universities of the Ivy League Universities. The private university of Princeton was founded in 1746 in Elizabeth, New Jersey as the College of New Jersey. It moved to Newark in 1747, then to Princeton in 1756. 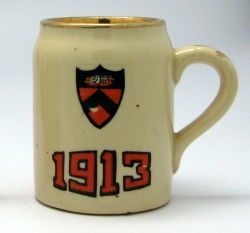 It was renamed Princeton University in 1896. It is one of the eight universities of the Ivy League, and is one of the nine colonial colleges founded before the American Revolution. 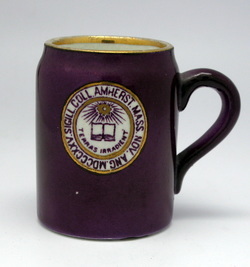 Amherst College is a private liberal arts college located in Amherst, Massachusetts. It was founded in 1821 as an attempt to relocate Williams College by its President Zephaniah Swift Moore. It is the third oldest institution of higher education in Massachusetts and remained a men's college until becoming co-educational in 1975. The private university of Harvard was established in 1836 by the colonial Massachusetts legislature and is the oldest institution of higher learning in the United States. It is one of the eight universities of the Ivy League Universities. The Methodist affiliated Tilton School was originally known as the New Hampshire Conference Seminary when it opened in 1845. It was a secondary school for boys and girls. 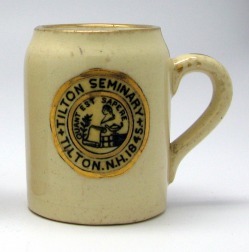 In 1903, the name was change to the Tilton Seminary, and in 1923, it was changed to its present name Tilton School. Today it functions as an independent, co-educational college preparatory school. Yale University, which was founded in 1701, is the third oldest educational institution in the United States. Originally known as the Collegiate School and later Yale College, it is also a member of the Ivy League.